Processes all events which are currently in the event queue. Puts a event in the queue but does not wake the loop. Puts a event in the queue and wakes the loop so that the event is processed. 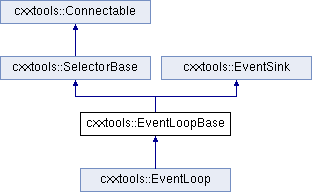 Puts a priority event in the queue and wakes the loop so that the event is processed. Notifies about wait timeouts This signal is send when the timeout given to a wait call of the selector expires and no activity occured. Notifies that all events are processed and the event loop starts waiting. Emited when the eventloop is exited. Thread-safe event loop supporting I/O multiplexing and Timers.